A disappointing news for all the fans of Amitabh Bachchan. The legendary Bollywood actor is not doing the most awaited Malayalam film, Mohanlal starrer Randamoozham. 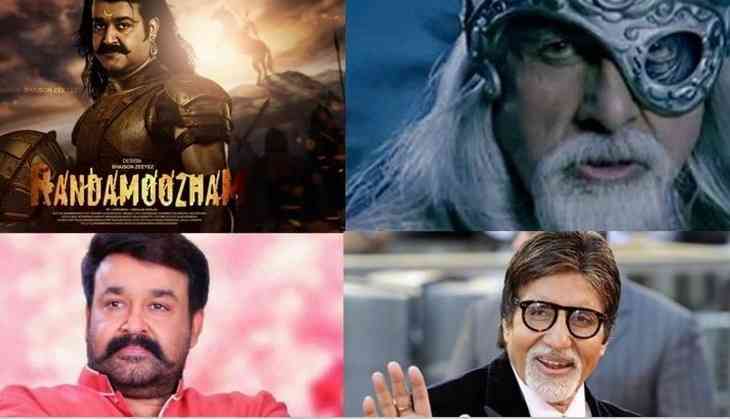 The film, an adaptation of Malayalam writer MT Vasudevan's award winning novel with same title was announced in 2014, Randamoozham will be based on the epic Mahabharatha and Big B was confirmed to portray the role of Bhishma as per film's director, ad-maker Sreekumar. Randamoozham was supposed to be the third collaboration of Amitabh Bachchan and Mohanlal, after the Bollywood film Aag and Malayalam film Kandahar. Randamoozham will be made on a whopping budget of Rs. 600 crore and might be the most expensive Indian film to be made till date.